Bright green lines indicate trails while darker green lines indicate bike lanes. Because Google Maps lies about where bike facilities are. 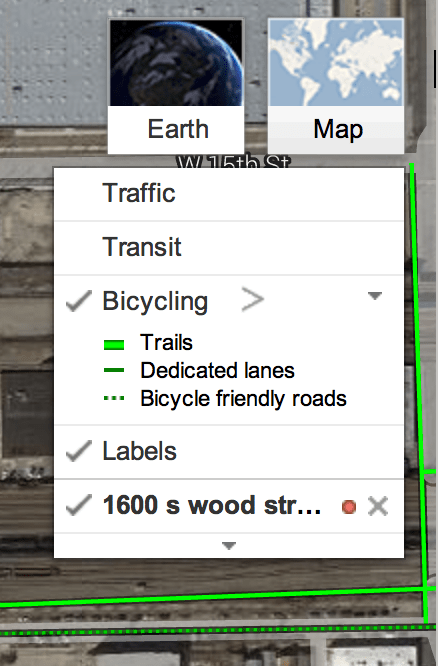 Check out the bicycling layer at 16th Street and Wood Street in Pilsen, Chicago, Illinois. 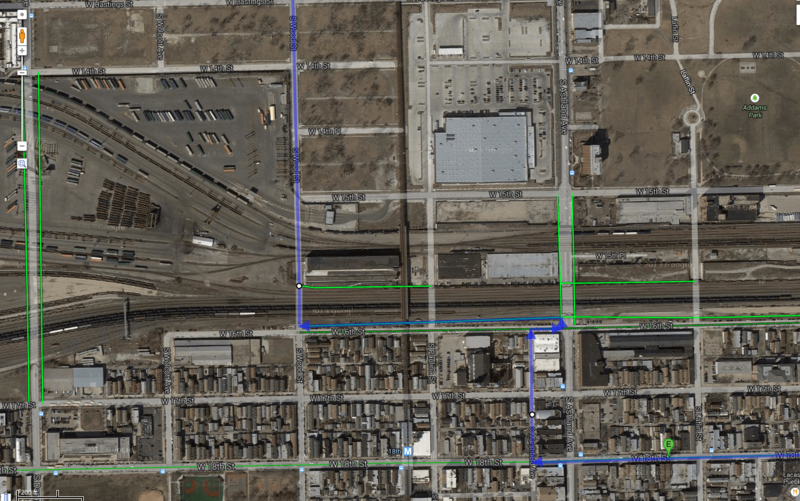 The bright green lines represent trails, but the ones in this part of Pilsen are not trails. All of the north-south “trails” you see are actually sidewalks underneath railroad viaducts. The east-west trails…well, I’m not sure what they are but they are on elevated railroad property. Don’t go up there. I created my own bike map to deal with the inaccuracies across Google Maps. I used my local knowledge (“ground truth”) and high-quality bike facility data from the Chicago Department of Transportation. I also used contributions to OpenStreetMap, mainly for trails. I’ve been correcting and adding new bike lane data to OSM as CDOT installs them. View this area with OpenCycleMap’s tiles, which shows only bike lanes on 18th Street.